Unfortunately you can't buy the cooked rotisserie chickens through the Walmart Grocery app (boo), so I bought a raw chicken and will cook it, seasoned, in the crock pot. I have a couple potatoes leftover from last week I'll throw in with it and will just heat up a bag of frozen veggies as well. I'll use the leftover shredded chicken for two other meals this week, so split the cost between them. I'll save half of the sweet potatoes and use them early next week. Using mozzarella from last week. We love this pizza! It's delicious! I already have mozzarella and everything I need to make the sauce. Still eating that huge bag of fries they upgraded us to on my last Walmart Grocery run. Already have bread and cheese for this dish. A singing group I was in while in college is having their 40th reunion event tonight, so we will go to that at my alma mater, North Greenville University. Saturday Lunch: We will be at the Greenville Zoo this morning helping man a table for the Chinese immersion school the kids will be going to, so we will either pack a lunch or grab something from the concession stand. Preheat oven to 350. Cook noodles and chicken. Mix together, pasta, chicken, spinach, cream cheese, tomatoes, salt, and pepper. Top with cheese and bake for about 30 minutes. Sunday Dinner: We have tickets to the Greenville Drive (local baseball team), so will eat dinner there or on the way home. Lower total this week, but we will also have to eat out three times. 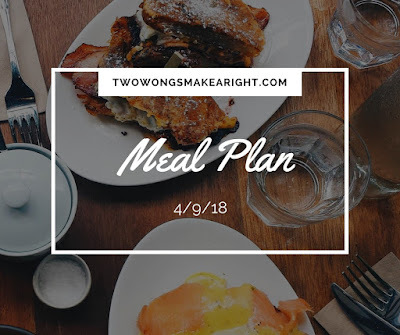 We do have an eat out budget each month that we use, so it shouldn't affect our grocery budget, but it may be higher another week so it should balance out. I always get hungry reading your post! And I forget about pizza! 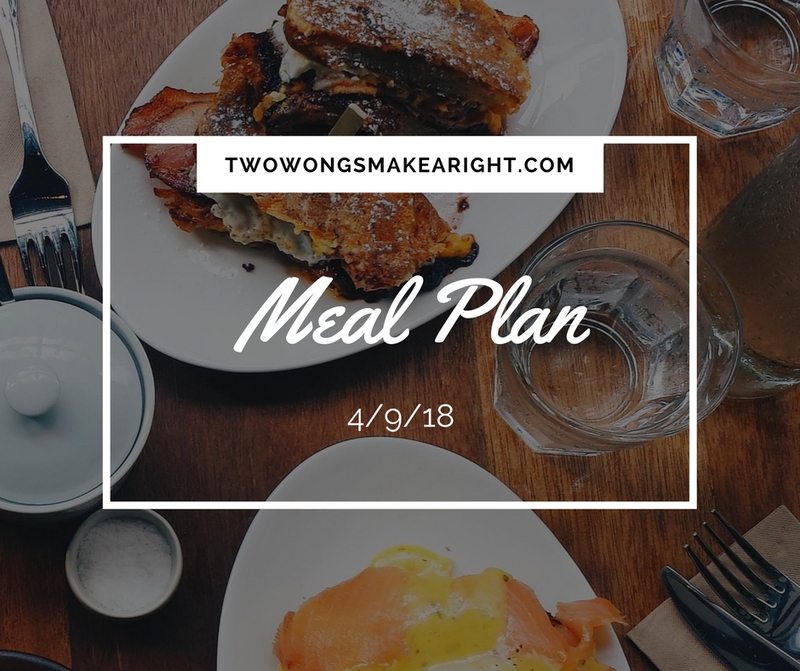 I’m going back to make changes to our meal plan right now! We are eating a lot of chicken this week after it was on sale. What meals do you have down this week? F: I just changed this to pizza! I’m not sure what exactly. Maybe bbq chicken or ranch chicken. I’m so excited about the link you posted! The weekend I’m a sucker for eating out! We need more restaurants to try! But I get lazy and just go to the same.